Today, NYC KidsPAC, a political action committee composed of parent leaders devoted to strengthening our public schools, announced its endorsements in the Democratic primary due to take place next Tuesday, Sept. 9. 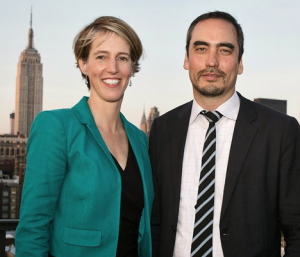 KidsPAC endorsed Zephyr Teachout and Tim Wu for Governor and Lieutenant Governor, over the incumbent Andrew Cuomo and his running mate, Kathy Hochul. 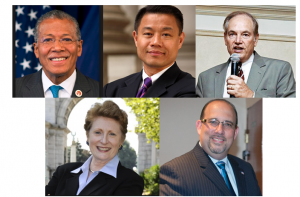 KidsPAC’s other endorsements in contested races include: Robert Jackson for State Senate District 31 in Manhattan, John Liu for the 11th Senate District seat in Queens, Dmytro Fedkowskyj for Assembly Seat District 30 in Queens, Oliver Koppell for Senate District 34 Seat in the Bronx, and Jo Anne Simon, campaigning to replace retiring Joan Millman in the 52nd Assembly District in Brooklyn. “Though Robert Jackson and the incumbent Adriano Espaillat both completed surveys emphasizing their support for public schools, Jackson has a long history of leadership on education issues. He was the original plaintiff in the CFE case, walked to Albany for the final deliberations in court, and was a terrific advocate as Chair of the Education Committee on the NYC Council. Wherever and whenever we have needed him, Robert Jackson has stood for us and with us, fighting for the rights of our kids. Now parents must be there for him,” said Karen Sprowal, a board member of NYC KidsPAC and a long time Harlem resident. “John Liu and Tony Avella have strong education records, but Liu was an exemplary City Councilmember and Comptroller – always pushing to keep the Department of Education honest in its reporting. Moreover, we cannot forget how Avella deserted the Democratic Party to join forces with the GOP, which has consistently opposed full funding for NYC schools and supports privatization, vouchers and charter expansion,” said Isaac Carmignani, long-time parent leader in Queens. 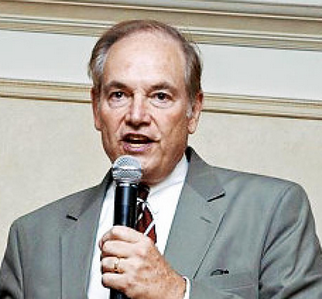 “KidsPAC is endorsing Oliver Koppell for State Senate against Jeff Klein, as Klein led the defection from the Democratic majority to prop up the GOP, which has hurt our schools badly. Klein also supported the egregious provisions in this year’s budget, providing preferential treatment and public space at city expense for charter schools – despite the fact that the public schools in his district are hugely overcrowded and badly need expansion,” said Gloria Corsino, a Bronx parent leader. The links to our endorsements, completed candidate surveys and the NYSAPE Governor’s scorecard can be found on our website at www.nyckidspac.org .